During the press conference, questions were asked, some answered and some we as the public have to wait for. Richard Poxon the matchmaker of Hatton Promotions, claimed in an interview the possible opponent for Hatton’s return is the not the typical rumoured names that have been thrown around freely by the media, Twitter and online boxing publications. The main names being Paulie Malinaggi, Kell Brook, Amir Khan, Junior Witter & Victor Ortiz. The Pride of Hyde also made sure he was back to put himself back into title contention. One thing that occurred to me that the Hatton camp cannot write an opponent in stone which leads me to believe there are deciding factors in the match-up and common sense says to me, the potential opponent is currently involved in the commitments of a up an coming bout, otherwise the conference would announce Hatton’s return versus the opponent, whoever it may be. Richard Poxon also claimed the public will be surprised at the choice of opponent, not only due to not being one of the rumoured names but for credibility. It then hit me, like a Hatton body shot! Marcos Rene Maidana who is boxing Jesus Soto Karass tomorrow at the MGM Grand under the Alvarez v Lopez bout, fits all of the criteria. 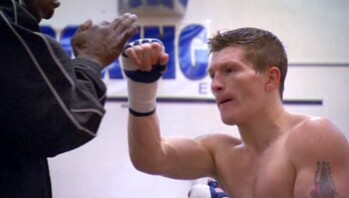 World class, none of the rumoured names, surprising due to his reputation, and considering if ‘Chino’ beats the 26-7 Mexican Soto Karass will then offer the WBA Inter-Continental welterweight title which leads Hatton right back to the top of the welterweight division. It makes sense that Hatton cannot name Maidana yet because the Argentine is boxing tomorrow and has to wait on the result for clarification. On a matchmakers view of the situation Maidana makes sense, although one of the most dangerous punchers in the division, Hatton always takes risky fights but it has become evident that Maidana is not very technically skilled after being exposed of his lack of natural ‘sweet science’ abilities by Khan, Alexander and Kotelnyk. None of those fighters had a particularly easy night but still there is a blueprint on how to beat Maidana, with a combination of superior boxing skill, movement and average to good speed; Hatton owns these traits. Some will say Hatton will face a light puncher after his defeat to Pacquiao but as mentioned before when has the ‘Hitman’ ever taken the easy road. The opponent will be named in less than two weeks, but if you think about it clues lead to Maidana.